The first miracle Jesus performed in the Gospel of John was transforming water into wine at the wedding at Cana. This showed Jesus’ transforming power. His last miracle, which is His supreme miracle before His own death and resurrection, was raising Lazarus from physical death to physical life. Jesus did in the “natural” what He would do in the “supernatural.” All signs Jesus gave throughout the gospels pointed to the supreme miracle of His own death for the sins of all mankind, and His ultimate resurrection. Lazarus will not only receive restored physical life through Jesus, he will also receive new, spiritual life through His belief in Jesus. Being raised from the dead is not a new concept. God heard the prayer of Elijah and restored the life of the son of the widow Zarephath. (see 1 Kings 17:7-24) God also worked through Elisha to restore the life of the son of the Shunammite widow. (2 Kings 4:8-37) In the gospels, Jesus resurrected three persons – Jairus’ daughter, the son of the widow at Nain and Lazarus. In other words, resurrection life is for all -- male, female, young or old. Jesus is not only the Great Transformer, but also the One who gives spiritual life by dying in His sinless flesh body for all sinners, and then being resurrected and ascending back to His original place with the Father. Followers of Christ are also transformed by the Word/Jesus and the power of the Holy Spirit. We gain spiritual life by allowing Jesus and the Holy Spirit to put our fleshly ways to death so we walk in the newness of spiritual life in Jesus and the Holy Spirit. It is through His transforming power that we are raised from the death of our fleshly ways and sin to new, resurrected, eternal spiritual life in Jesus Christ. "Let us go to Judea." Jesus loved Martha, Mary and Lazarus. He visited their home in Bethany many times when He was in the area. Mary is the one who sat at His feet and anointed Jesus’ feet with precious oil and wiped them with her hair. Mary humbled herself and hungered and thirsted for the wisdom of Jesus. Martha, on the other hand, was the one who kept up the home. She worked diligently and was faithful in serving others. Together, Martha and Mary represent the Bride of Christ who are to love Jesus and seek the wisdom of God as well as love and serve others. A message comes to Jesus that Lazarus whom Jesus loved is sick. Mary and Martha were grief-stricken that their bother Lazarus was sick, so they reached out to the only One they knew who could help them. However, Jesus didn’t come to them right away. He waited two days and then He set out on a two-day journey to Bethany. So, it was four days before Jesus got to Mary, Martha and Lazarus. In the meantime, Jesus assured His disciples that Lazarus’ sickness would not end in death but would instead be used for “God’s glory so that God’s Son may be glorified through it.” John 11:4 God’s delays are not God’s denials. It is easy for followers of Christ to question God’s love when our prayers are not answered right away. Martha and Mary are no different. They too loved Jesus and knew He loved them but were upset and confused about Jesus’ slowness to respond even though He loved them all. Jesus then says to His disciples, “Let us go back to Judea.” This upset His disciples because the Jewish religious leaders tried to stone Jesus there. Jesus answered them in a rather mysterious way. “Are there not twelve hours of daylight? A man who walks by day will not stumble, for he sees by this world’s light. It is when he walks by night that he stumbles, for he has no light.” John 11:9-10 Twelve hours in a day is a fixed reality! A Jewish day is from sunrise to sunset. Work and traveling would be done in the light of day, not in darkness. One who traveled in darkness could not see the "way." Jesus walks in Light because He is the Light of the world.and He is the way to eternal life. His light shines even in the darkness and is also the Light of the New Jerusalem in heaven. Because He is the Light, He has no fear. When we walk in the Light of Jesus, the darkness will not consume us and we will have no fear. What is the Light of Jesus? Psalm 119:105 answers this. “Your Word is a lamp to my feet and a light for my path.” Jesus is the Living Word – the entire Word of God brought to life. The Word of God contains all truth and spiritual principles that will help us avoid the darkness and keep us from making wrong decisions and choices. God wants us to gain understanding of His Word and avoid every wrong path. After saying "let us go back to Judea," Jesus explains Lazarus’ condition to His disciples. “Our friend Lazarus has fallen asleep, but I am going there to wake him up.” V11 Death in scripture is often called being in a deep sleep. God caused Adam to fall into a deep sleep when He cut a wound in Adam’s side to remove the rib that He would use to create Woman. 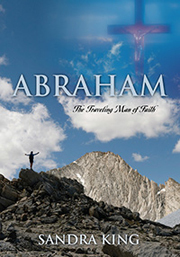 (See Genesis 2:21) God also caused Abram to fall into a deep sleep when God passed through the sacrificial animals affirming that God’s covenant with Abraham was His covenant and He alone will perform it. (see Genesis 15:12) The prophet Daniel was in a deep sleep when God was giving him a vision and touched him. (see Daniel 8:18; 10:9) After all of these deep sleeps, God resurrected these men back to life. God never intended that humans should die. It was the original sin of Adam and the Woman that brought death. Jesus’ disciples thought He was talking about “natural” sleep, but Jesus was talking about both “natural and “spiritual” sleep. Jesus makes it clearer to His disciples. “Lazarus is dead, and for your sake I am glad I was not there, so that you may believe. But let us go to him.” V14-15 Jesus had knowledge that His disciples could not yet see. Lazarus was not only physically dead but also spiritually dead because he had not yet come to believe that Jesus is the Christ, the Son of God. Jesus will give Lazarus a spiritual awakening! He will turn Lazarus’ body of corruption into new, spiritual life as He does for each one of us who believe in Him and His sacrifice for our sin. Jesus assures his audience that Lazarus' illness would not lead to death. Lazarus will become a believer in Jesus after Jesus resurrects him. Lazarus did not sit down at table with Jesus until after he was resurrected. Lazarus’ sisters, Mary and Martha, believed in Jesus before their brother. The disciple Thomas was so distraught that Jesus was going near the place where His enemies were plotting to kill him that he said to the rest of the disciples, “Let us also go, that we may die with him.” V 16 Thomas was willing to die with Jesus. Jesus was glad that He was not in Bethany because He will use Lazarus’ death to show His power over death and that He is the resurrection and the life. He is also showing those present what is about to happen to Him. He will die and be resurrected. He will demonstrate His resurrection power over death using His powerful Word and the power of the Holy Spirit within Him.